Epic wings are so … epic. I have found the dish that will forever be the star of your outdoor dinner party. 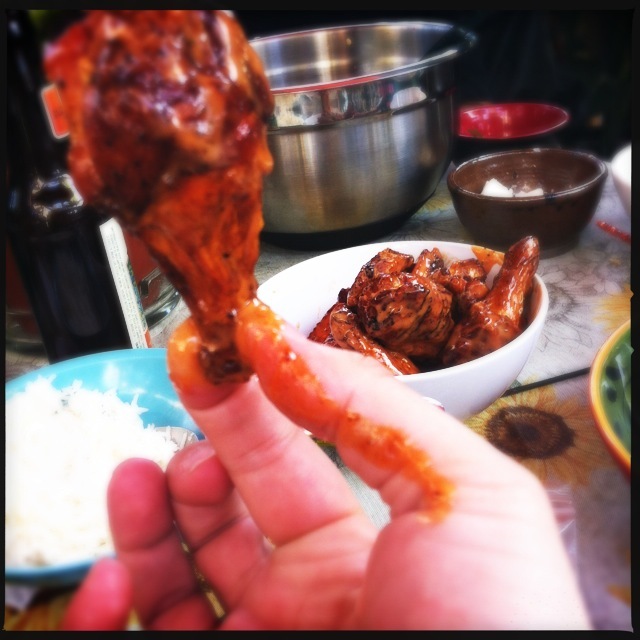 I first tried these at a friend’s house (he was trying to copy some wings from a local bar) and I have made them a few times. I’m in love. And I am no slouch with party snacks. It’s a fairly simple recipe, taking a total of about 2 hours, only about 1 1/2 of them are hands-off (unless you are making your own sauces). It can be adapted for size, tastes and ingredients. 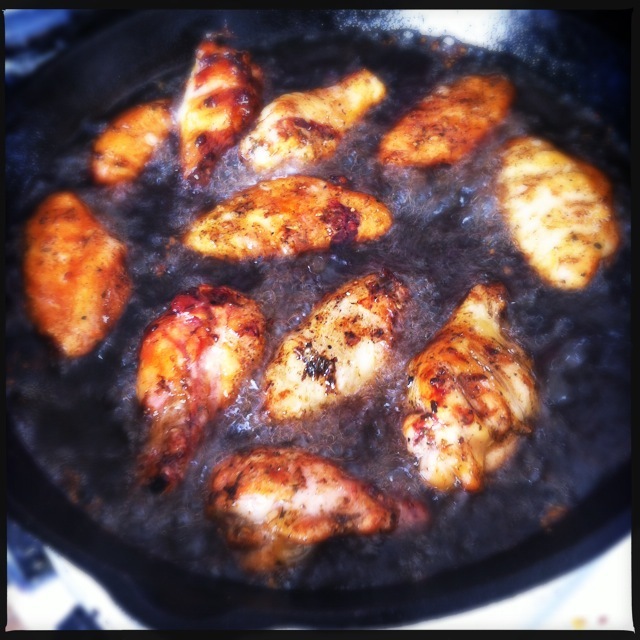 It also showcases two of the best ways to add flavor to some meat: smoking and frying. 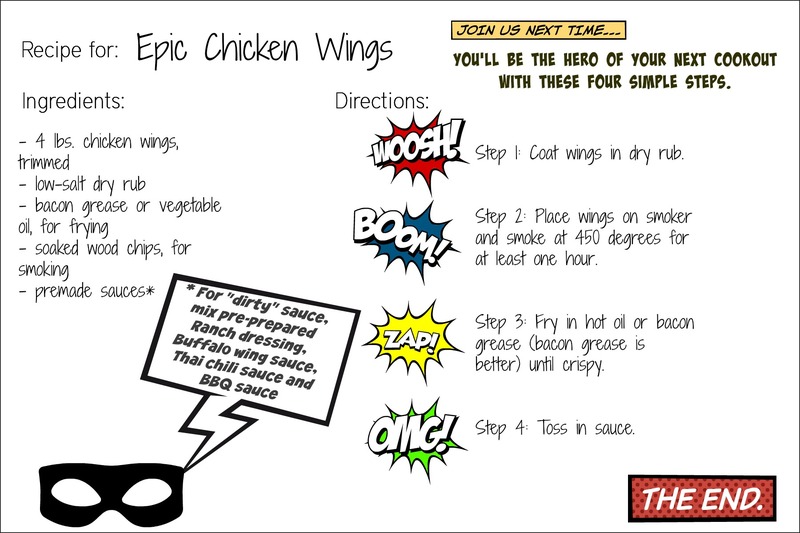 Lastly, you drown those delicious wings in lots of epic sauce, and you can get really creative with the toppings. 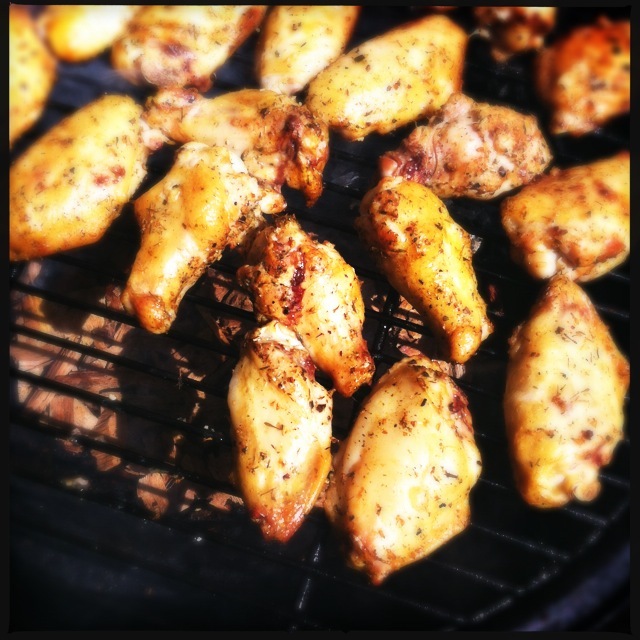 Very simply, epic wings are so F*^%^% epic because of the easy, yet profound cooking process. Step 1: Season the wings. I use a simple herb mixture. Try to keep the salt content low so it doesn’t dry out the meat during smoking. Step 2: Smoke the wings. Of course I use my awesome Masterbuilt 7-in-1 smoker/grill, which is well-seasoned and smokes pretty quickly. Use any type of wood, for at least an hour. If you smoke it longer than one hour it will add more flavor, but they’re already fully cooked after about 45 minutes on 250 degrees. Step 3: Fry the wings. A good flash-fry, in hot oil. Preferably in a cast-iron skillet with bacon grease. 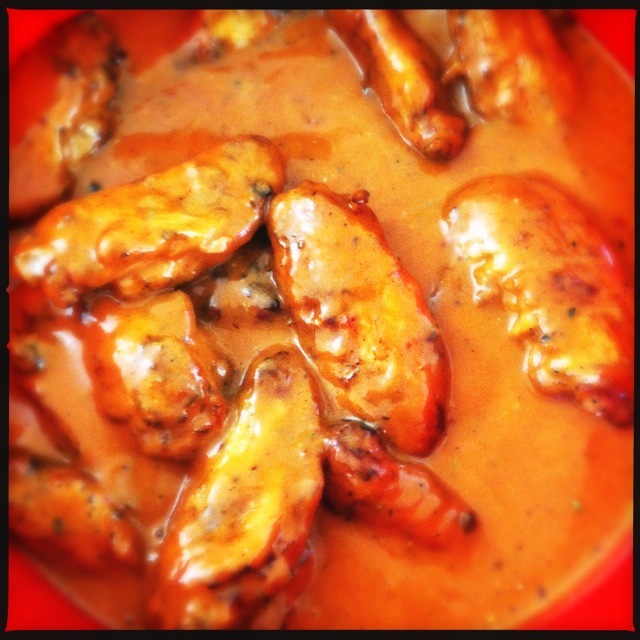 Step 4: Toss the wings in sauce. This is a great time to get creative, or even (especially at a BBQ or party) to do a few different types of flavors. Get ’em saucy. They can take it; that flash-fry got them nice and crispy, so they won’t get soggy. 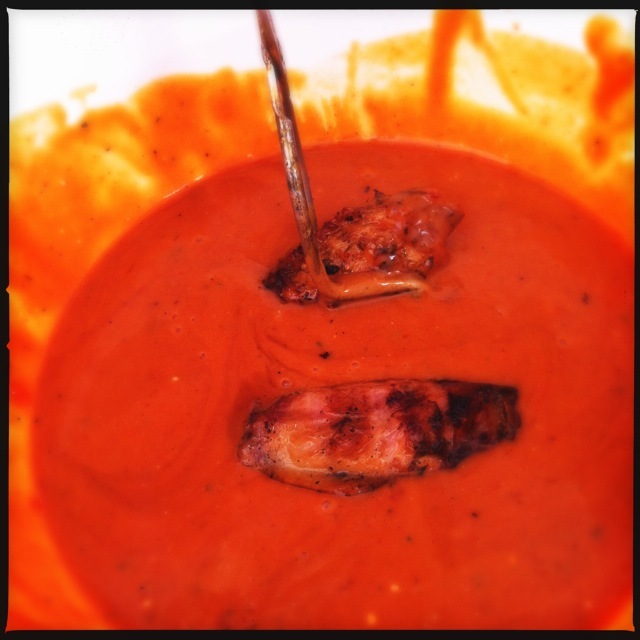 When my friend tried this recipe for the first time, he tried to re-create the local bar’s “dirty sauce,” which is all four of their sauces — Buffalo wing sauce, sweet and sour sauce, BBQ sauce and ranch dressing — and it was really amazing. 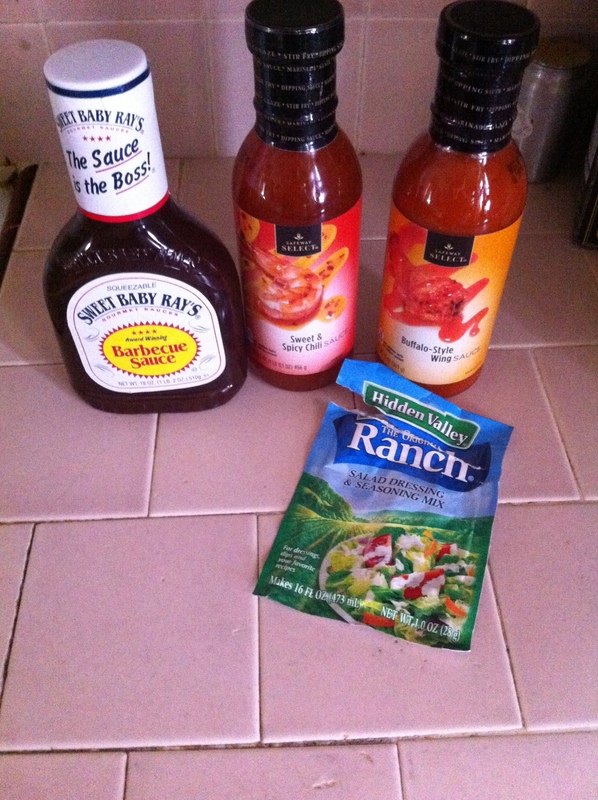 Those were using generic, store-brand sauces, except for Sweet Baby Ray’s brand BBQ sauce and Hidden Valley Ranch from the packet. I also made this same recipe and dirty sauce using my own homemade BBQ sauce and homemade Buffalo wing sauce (traditionally made with Frank’s Hot Sauce and butter, instead of Frank’s I used my own homemade, lacto-fermented sriracha). 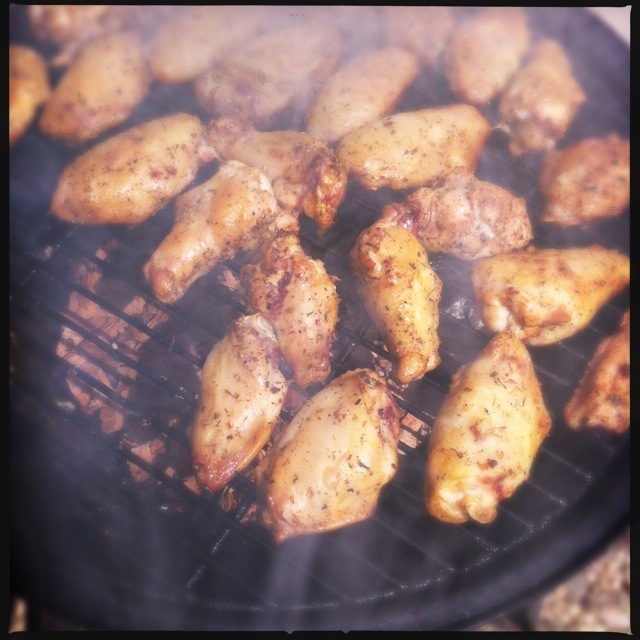 This entry was posted in cooking, fermenting, food, holidays, snacks, Uncategorized and tagged bbq wings, chicken wings, epic wings, fried wings, party wings, smoked wings, smoker recipes, summer grilling. Bookmark the permalink. Those look amazing!! I sure do love me some “epic” wings! Yum! !